Go to the VSP player to watch our two new videos this week - one with our art work on and one from our dressing up day! Scientific theories throughout the ages- what shape is the Earth? Flat of spherical? From Anciemt Egyptians to Galileo and Kepler. Eyeballs for dinner anyone? Persuasive writing simulus from our book Phoenix. Week beginning 16Th April - Astroacademy, flossing, instructions and astrolabes. To finish off our Stories from other cultures unit, we have explored Haikus from Japan today. We went to CTK and took part in a maths lesson, where we looked at language about shape,and a food technology lesson in which we baked cup cakes. We had such fun and learnt so much! A little bit of ‘raucous rugger’ in class 5 this week! Our Class Retreat - go to the VSP player- Come And See to See a video too! Class Collective Worship based on Jesus’s Prayer for His friends. We’ve been using augmented reality to make Pudsey dance off a flat sheet of paper today - how clever! Anglo Saxon crimes and punishments lesson. We had interesting discussions trying to match the punishments to the crimes! 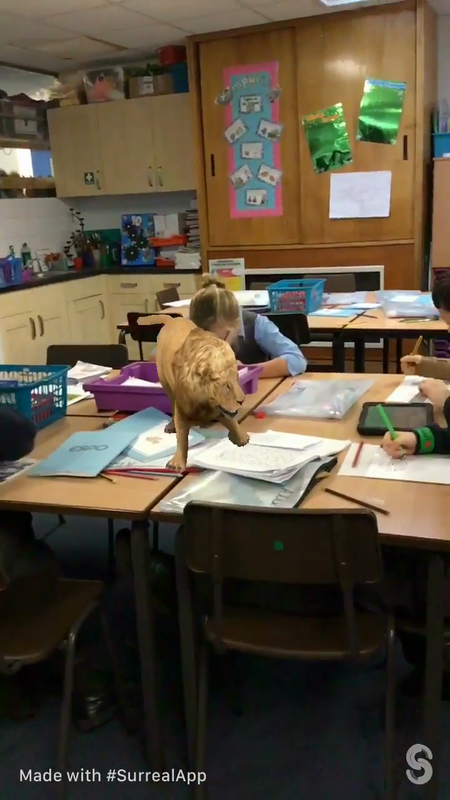 Class 5 have been exploring augmented reality today. Our first steps into an augmented world! Friction investigation with Mr Stafford. Our 60's Day to celebrate our school's birthday- we travelled back to 1967! 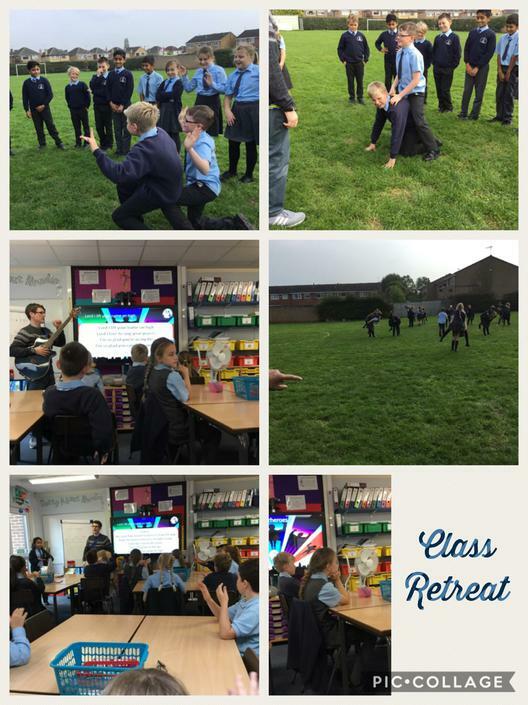 Go to our class VSP page to find out all about our Class Retreat on the 27th September. Come and See Miss put a name on the board we had to find out who he was and what he did. Maximilian Kolbe.